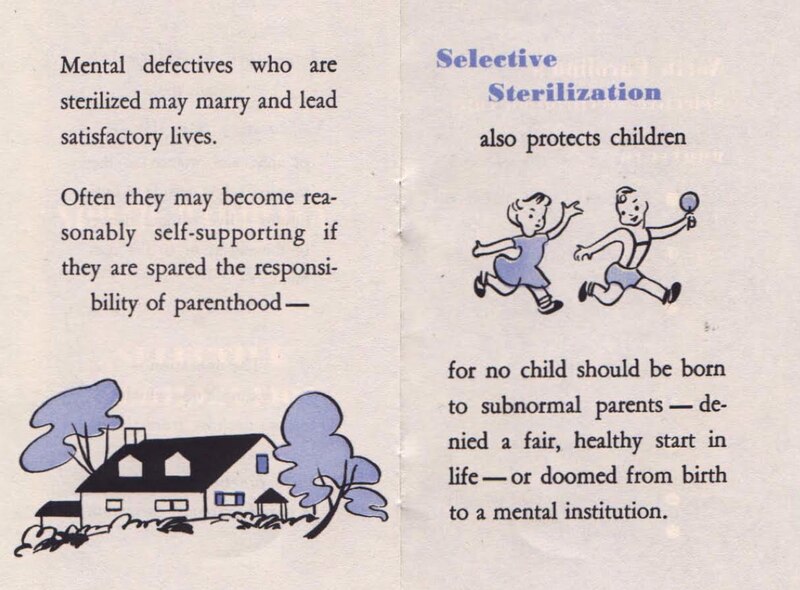 From a 1950 pamphlet by the Human Betterment League of North Carolina, a group that promoted the sterilization of "mental defectives" by the state. a person that wasn't very bright. who wasn't any cleverer than he was. than anyone had ever been. And so he MARRIED HER. because they had inherited poor minds from their parents. but they liked each other. making her different in any other way from other women. and WERE HAPPY just as other couples are. and they were very thankful they lived in NORTH CAROLINA. 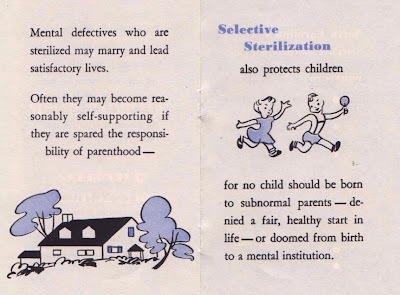 any of their children who weren't very bright. Are you trying to blow my fu#*ing mind, man? Sheeit! p.s. outdoor PS without you two will be lacking! I AM trying to blow your mind. You can swear here, by the way. I don't mind. Very sad to be missing the outdoor screening, but we'll be back for the October screenings + heck, that's right around the corner!